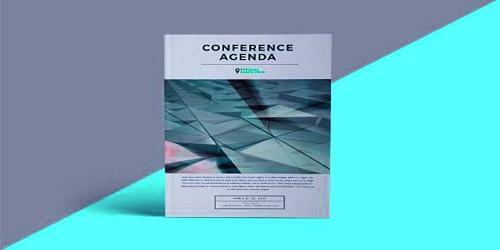 The date, time and location of the conference must receive a mention at the beginning of the agenda. The reason the organizers intend to hold the conference is also a necessity. Opening and closing salutations cannot be ignored. Subjects which will be discussed during the conference must be mentioned. The duration of the conference [hours, day] may also be provided. Thank you for trusting this school to provide a safe and healthy environment for your child to develop and mature. General attitude about the school. Influential family members and friends. (4) Establishing a link between the home and school. We believe that our interactions can prove beneficial for helping us understand the needs of your child better and therefore anticipate your wholehearted participation in the conference. Please complete the form and return the same to the contact details of the organization mentioned above. Wednesday [date] sales conference of the organization. Thursday [date] sales conference and a cocktail reception organized by the company. Attendees can contact the following hotels [name of the hotel’s along with contact numbers] for reserving accommodation for the days mentioned for the conference. The accommodation will be provided free of charge by the organization. Arrangements have also been made to satisfy any dietary requirements that attendees may have during their stay at the hotel. Attendees that require special arrangements because disabilities are also welcome to attend. We look forward to meeting you all during the annual sales conference. [name of the authorized individual].